Asset: (n) – A resource with economic value that an individual, corporation or country owns or controls with the expectation that it will provide future benefit. There are many types of assets – in both business and personal. Current assets are those which are expected to be used within one year’s time. They include deposits, negotiable currency (checks, money orders), inventory, receivables and prepaid expenses. Long term investments are assets that are held over a long period of time and they include stocks, bonds, securities, land, and long-term savings. 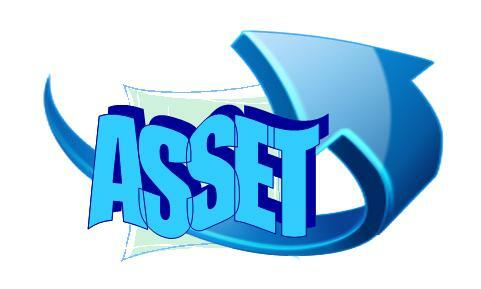 Fixed assets are items used by a company that will help the business operations and eventual bottom line. Such items that are fixed assets are building equipment, property, furniture, etc. Intangible assets are those assets in which it is difficult to place a dollar value on, yet still bring value to a company. Things like copyrights, patents, goodwill, and trade names. the equipment owned to operate the business – eg. a carpenter can count his woodworking equipment (saws, drills, power tools) as assets. A hairdresser would consider her property as well as her equipment and inventory of hair products as an asset. money that is considered a receivable is considered an asset. eg. outstanding payments that are due from a sale or a provided service. Short or long-term receivables that are owed the company for outstanding sales or service. deposits or cash in the bank is considered an asset. If this money is invested in short or long-term notes, it is also considered an asset. Any cash in the bank is considered an asset. Investments such as IRA’s, 401K’s college savings, etc. are considered assets. The value of the home after the amount owed is considered an asset. This is important information to know for both your small business and your personal value. Have further questions – send me an email or write a comment. I’m happy to explain more. Categories: Business to Personal, Money-savers, Word Up Wednesday | Tags: accounting formula, asset investments, assets, assets liabilities, basic accounting, current assets, fixed assets, intangible assets, long-term investments, stocks bonds, woodworking equipment | Permalink. Pingback: Word Up Wednesday – Accounts Receivable and Accounts Payable | Just a minute….